As I Am Curling Jelly Coil And Curl Definer with Aloe Vera, Vitamin E, Pectin and Sugar Beet Root. 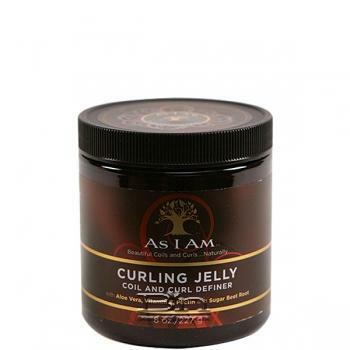 What a wonderful Curling Jelly for hi-definition coils and curls, with buoyancy and vibrancy! Whatever your hair length, your style will be distinctly beautiful and will hold its definition for days.